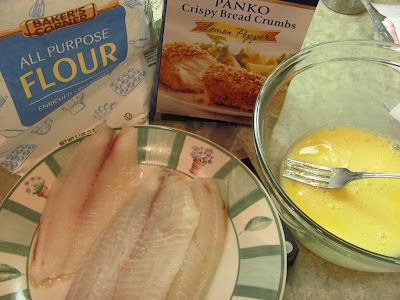 My Blog Spark contacted me about trying the new Progresso lemon pepper panko crispy bread crumbs. They sent me a box of the breadcrumbs and a fantabulifico cookbook signed by Chef Michael Chiarello. I was so excited!!! 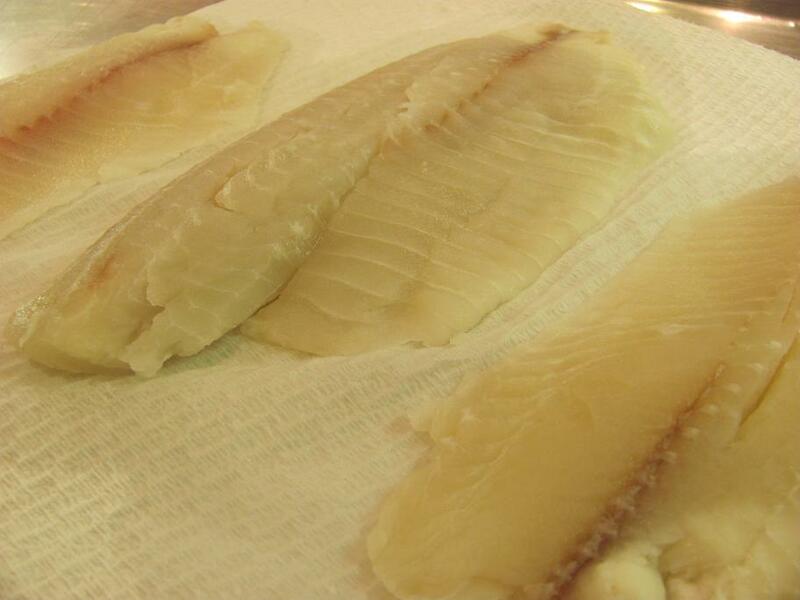 Dry the tilapia fillets with a paper towel. Dust both sides with flour. 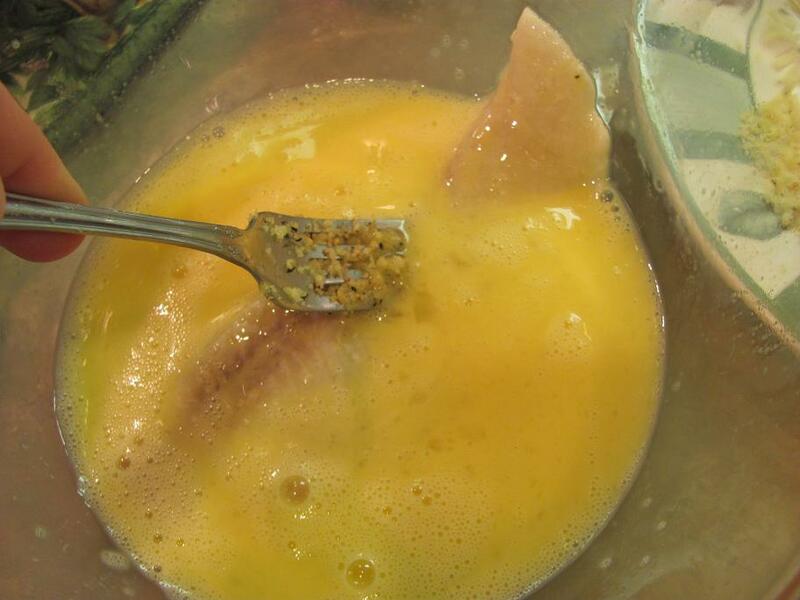 Dip the fillets into the beaten egg mixture. 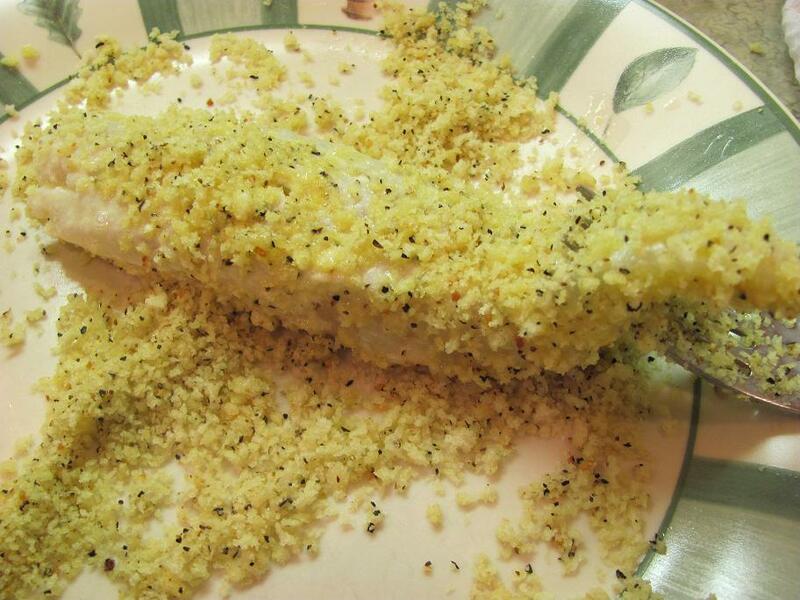 Press into the Progresso lemon pepper panko crispy bread crumbs. Place onto a baking sheet and bake at 400 degrees F for 15 minutes. Flip them over and finish baking them for another 10-15 minutes. These were really crunchy and crispy. They did not get soggy like some baked breaded fish has for us in the past. The seasoning was spot on and very flavorful. We really enjoyed it and the kids even ate it. They liked it with ketchup. 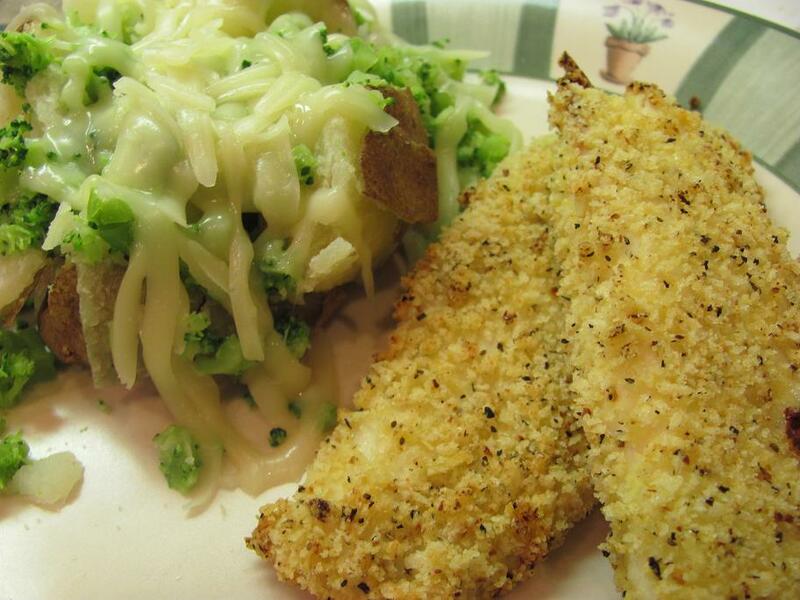 Would you like to try the new Progresso lemon pepper panko crispy bread crumbs? 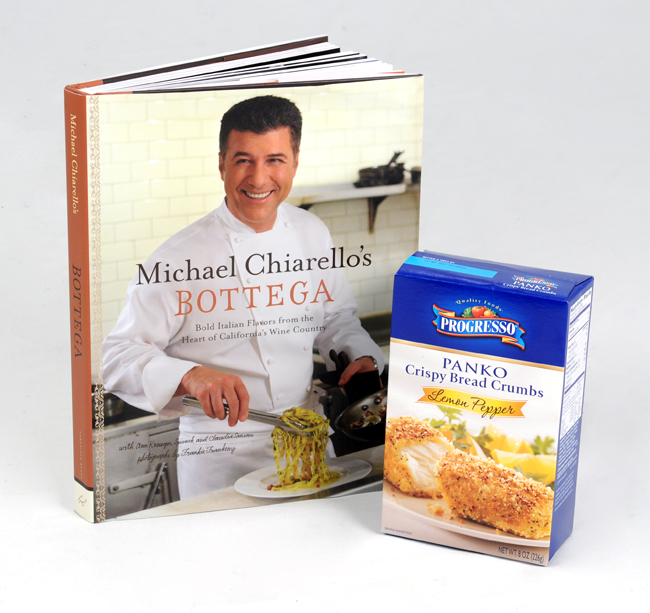 How about receiving a signed copy of Michael Chiarello's new cookbook Bottega? To enter the giveaway, please leave a comment stating what type of dish you would create with Progresso Lemon Pepper Panko? This giveaway ends on Friday, November 19, 2010 at 6 p.m. EST. Be sure to leave an email address for contact. We love panko bread crumbs, but have not tried the flavored ones. Sounds delicious! We would bake as you did but turn them into fish tacos. One of our favorite ways to eat fish. The tilapia recipe looks fabulous - I would try something similar! I'm SO not a fish person, but I think I might just have to try lemon pepper chicken. I have NEVER had tilapia so I think I'd try that....sounds yummy! I would follow your recipe except use snapper since I can steal it out of my inlaws freezer!!! I really was drawn to the spinach arancini recipe, but I wouldn't mind using these breadcrumbs for topping a casserole. rhisomers@gmail.com You look like you've found a great way to make tilapia more flavorful (something I'm always trying to do). I think that lemon pepper shrimp would be good. Get the large ones, butterfly them, and coat them in the lemon pepper panko. The bite sized shrimp would be good too! Make them and put on top of a salad. I'd make this recipe for myself and probably toss some scallops in the breading too, for the hubs, since he doesn't like tilapia. Oh, Panko, how I love thee. Your crunch is undeniably delightful. That looks so yummy! ...and EASY, a definite winner for me! Looks delicious, I would love to try it on fish or chicken. Love it! 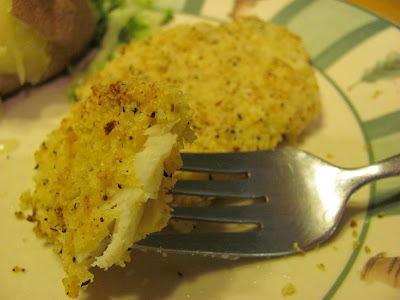 We usually bake our tilapia but never with the bread crumbs, nice switch! I think I'll put that on my menu for next week! I used panko on eggplant this summer - I bet the lemon flavor would be good on this! Thanks for sharing the tilapia recipe with us at the Hearth and Soul Hop - and the giveaway! I would use them for topping a casserole, or for some coating on chicken/chicken fingers. Thanks for a chance to win! Thank you for posting. It was absolutely wonderful. For fried fish lovers trying to turn over a new leaf...this is the best. The fish came out CRUNCHY and FULL of FLAVOR. 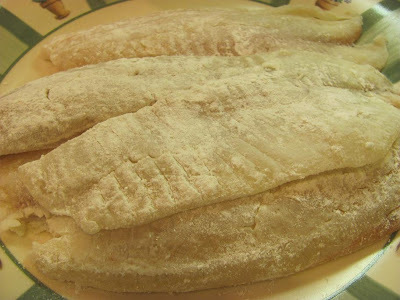 It was super easy to prepare and even made frozen fish taste good. Thanks again.